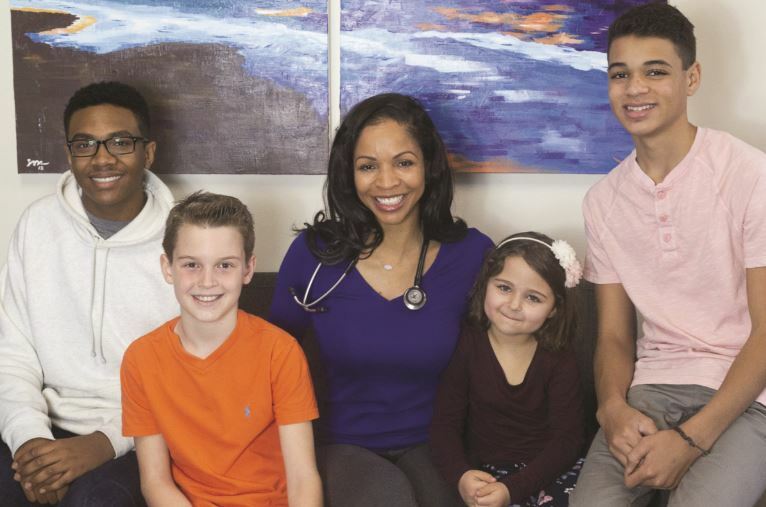 Dr. Ganielle Hooper surrounded by her patients. If your child is suffering from anxiety, depression or just not acting like themselves, Dr. Ganielle Hooper at Axis Hope can provide the expertise and support they need to feel better. A medical professional for 16 years, Dr. Hooper recently opened Axis Hope in East Cobb to better address the mental health needs of kids and teens in the area. Dr. Hooper provides a comprehensive physical, mental and psychosocial exam for each new patient in order to assess, diagnose and treat mental illness. She also develops treatment plans and prescribes medications for symptom management. The practice is able to work with children facing anxiety, depression, eating disorders, mood disorders and other mental health concerns. She also specializes in ADD/ADHD management and helping children on the Autism Spectrum. Dr. Hooper offers a safe space without judgment for kids and teens who want to talk openly. She asked children for input into the waiting area and treatment rooms, so they are cozy and inviting for all ages. As part of the treatment, she meets with the child and parent independently and then works with both on developing a treatment plan. It’s also the reason she extended the time for visits – she wants enough time to get to know each patient. Dr. Hooper is dual certified as a Pediatric Nurse Practitioner and Pediatric Mental Health Specialist. She is bilingual in Spanish and also a military veteran. She still serves as an Officer in the Air National Guard and is active in the local community, along with her husband, Otis. A mother of four boys, she can relate to parents who want the best for their children. Her goal is to help the entire family with her practice and to also help others in the area through the nonprofit, Axis Angels, which provides mental health care for families who need financial assistance. Dr. Hooper started her career as an Emergency Room nurse. In this role, she saw many patients with mental issues that impacted their choices and the care they received. She decided to further her education with a focus on pediatrics and mental health. “Dr. Ganielle Hooper is one of the most professional and thorough physicians that our family has ever had. My children felt comfortable at once when they met with her. She is patient and a great listener. She uses genetic testing to enable her to find what best medicine works for my children. Thus, saving time and money. Feel so blessed to have Dr. Hooper care for my children. She is awesome! I highly recommend Dr. Hooper!” – K. Bito. If you have concerns about your child or your teen is struggling, contact Axis Hope today. Early assessment, accurate diagnosis and treatment of psychiatric disorders may prevent certain behaviors in the classroom and home that will preserve the child’s sense of confidence, certainty and hope. Axis Hope is currently accepting new patients and can usually schedule the first appointment within 1-2 weeks. They also accept insurance and provide telemedicine options for patients who might not be able to travel. 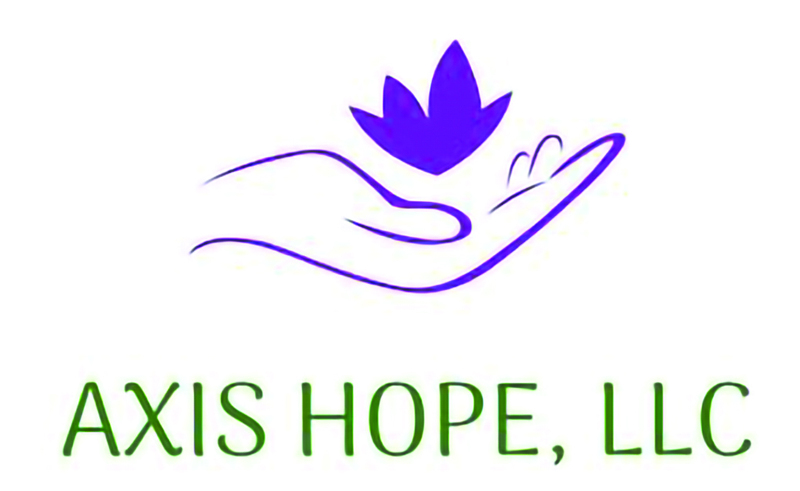 Axis Hope is conveniently located in Piedmont Commons at 2551 Roswell Road, Suite 420, Marietta 30062. For information, visit axishope.care, email info@axishope.care or call 678-648-7888. Dr. Ganielle E. Hooper is a Nationally Certified Pediatric Nurse Practitioner and Mental Health Specialist. She received her Bachelor’s degree from Georgia State University, her Master’s degree from John’s Hopkins University and her Doctorate degree from St. Catherine’s University. She is the owner and operator of Axis Hope, a mental health care clinic in Marietta, GA providing treatment to the pediatric population through assessment, diagnosis and medication management. This article originally appeared in the February issue of EAST COBBER, on page 6. Click here to view the digital edition. PreviousLook Who’s on the Cover! Dr. Ganielle E. Hooper, Owner of Axis Hope!